Members of Engineers Australia can view the recording for free on MyPortal. Logon and navigate to Industry Applications > Other. The list of all recordings can be viewed here. Description: Replacing prisons with high tech systems capable of detaining prisoners in their own homes and the use of artificial intelligence to predict and prevent imminent offenses may sound the stuff of science fiction, but rapid advances in technology surrounding the Internet of Thing makes such a vision a possibility worth discussing. Prof Hunter has been making news proposing just such a system, which revolves the around the use of electronic bracelets with electric shock capabilities. This effectively turn prisoners into internet nodes, capable of being monitored and controlled like any other IoT system. In this presentation, Prof Hunter will outline technology advances in prisons around the world and discusses the legal, social and engineering dimensions of making the vision a reality. 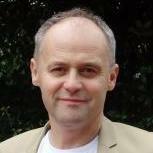 About the presenter: Professor Dan Hunter is expert in internet law, intellectual property and cognitive science models of law. He holds a PhD from Cambridge on the nature of legal reasoning, as well as computer science and law degrees from Monash University and a Master of Laws by research from the University of Melbourne. Professor Hunter regularly publishes on the intersection of computers and law including using technology to make sentencing more efficient and fairer. His recent articles include recommendations for allowing prisoners to access the internet, making internet deprivation a new stand-alone criminal sanction and replacing prisons with technological incarceration. When: 12 midday in Sydney. If you are in a state with a different time zone from NSW, please determine your local time. The date is above. The presentation will last 30 minutes followed by question time.